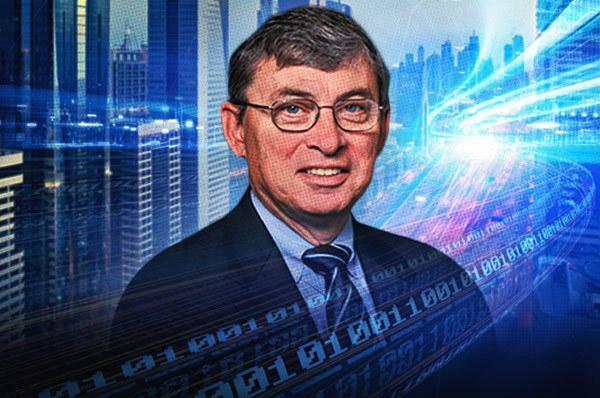 MIT employment professor Thomas Kochan has studied the labor market for four decades. A lot has changed and there’s more change on the way. The American labor market is on relatively stable ground—at least according to a recent report published by the Obama administration and a year's’ worth of Bureau of Labor Statistics data. Both suggest that the U.S. has pulled itself out of its recession years. But clearly, problems persist, including wage inequality, talent shortages in certain industries and a lack of jobs in others. Grading the U.S. economy and labor market seems to be an inexact science at best. So what’s going on, and what does the future hold for labor? We decided to put those questions to Thomas Kochan , who has been studying changes in the workplace for the past 40 years. He’s now the co-director of the MIT Institute for Work and Employment Research, as well as the George Maverick Bunker Professor of work and employment research at the MIT Sloan School of Management, and the author Shaping the Future of Work. The book, released earlier this year, is part of a larger initiative that includes online courses and outreach activities through MIT to educate people about the challenges of the changing workplace—like stagnant wages, income inequality and the treatment of labor as a cost to be controlled rather than an asset to be invested in. Here’s what he had to say about how work is changing—and what it may look like in the future. Q. Talk a little bit about the current state of work. What are you seeing? A. There’s an erosion of the employment relationship. Companies are focusing on their core competencies and paying attention only to their most talented workers, and then subcontract out the rest without worrying about the employment conditions in those areas. That’s a big issue. Another issue is the void in worker bargaining power as a result of the decline of unions. Thinking about the future, we’ll need to find ways for the workforce to have the opportunity to influence working conditions and how they work and are compensated. The next generation is at risk, and we have to address these economic and social challenges. We have to get more companies competing on high productivity and high wages. We know how to do that already, and there are plenty of examples: Costco in retailing, Southwest Airlines in aviation, Kaiser Permanente in health care. You can find highly visible large examples, and there are medium and small businesses that are trying to do the same, but not enough of them. Q. How will jobs evolve? What skills will employers be looking for? A. We will discover we have much more talented workforce than is often appreciated. As long as people keep learning, we can fill the tech worker positions that the economy needs to move forward. That will include both computer technology and related tech skills such as big data, as well as behavioral skills. Being able to work together to solve problems, to write and communicate clearly, that’s the mix of skills that are out there in the workforce but are underutilized. The jobs that go away will be the ones that have routine tasks that can be programmed into a computer and eliminated—a lot of information processing, for example. But jobs that require a mix of analytic human skills and technology—that’s where the future lies. If we provide opportunities for the workforce to get and keep those skills current, we will drive the economy in a positive, innovative direction that will be able to support good-quality wages and benefits. Q. How can employers and employees prepare for this change? A. The good news is that everybody is waking up to these issues. We see it in political campaigns, regardless of your political views. We’ve got to have a new energy in our business community that says we can compete in one of two ways: those that are good for shareholders and owners and society, or only on short-term values and profits. If we take the latter approach, we’ll soon have a slow-growth economy and a disgruntled workforce that demonstrates its dissatisfaction. Q. What can workers do to stay competitive? A. Employees must keep their skills current through education and lifelong learning through trade unions or professional associations or online courses through universities. Employers need to form consortiums to ensure there are enough skilled workers in a region or industry, or they need to work with universities, tech schools and unions to make sure they’re investing in the collective good. While unions have declined, we’re seeing a lot of innovation in the way people are organizing. We’ve seen restaurant workers collaborate with customers to advocate for sustainable food practices, but now we’re also seeing them advocate together for good working conditions. There’s a growing interest in the workforce itself to work together in new ways. Will you lose your job to a robot any time soon?